I'm off to a good start to this week's vegetables. 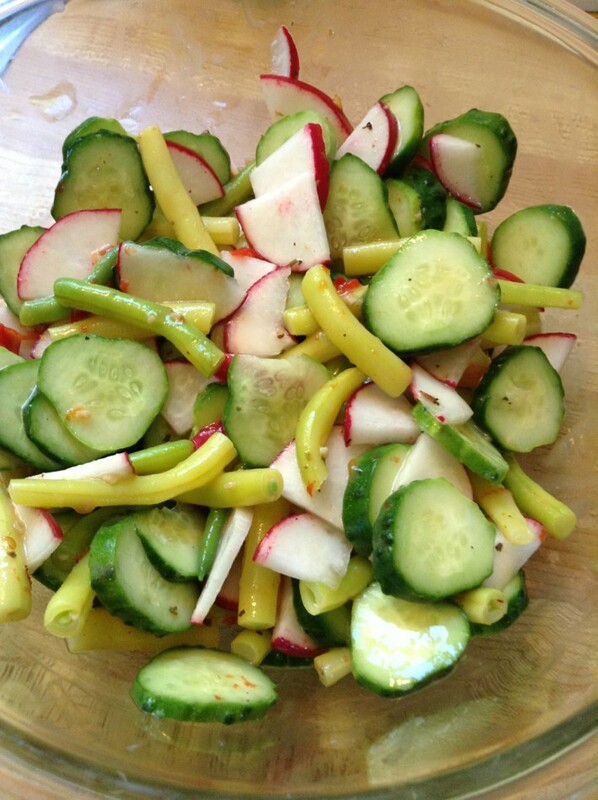 For lunch, I made a salad of lightly steamed beans, radish, and cucumber. 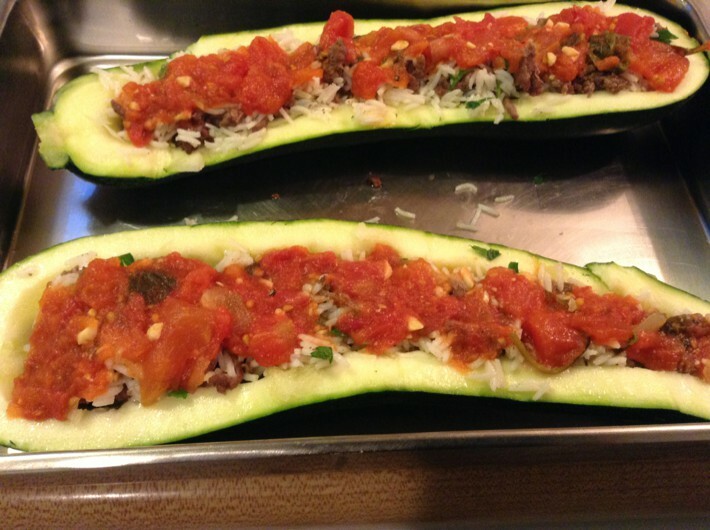 For dinner, I made stuffed zucchini. These zucchini are an astounding 1foot long! I fried up some ground beef with chopped garlic, mixed it with cooked rice and chopped parsley, and stuffed the zucchini. I topped it all with tomato sauce. The sauce from the farm is quite thin, but that was perfect for keeping everything moist while it baked. Ah, summer's bounty, how I miss it. It's winter over here and out of season vegetables are very expensive, e.g. tomatoes are nearly NZ$10/ kg and are bland. We're eating a lot of root vegetables & brassicas (cabbage, broccoli, cauliflower, bokchoy) at the moment. I am freezing what I don't eat, so I can enjoy these good veggies in winter. That salad is like Awesome Blast of Colour. Thanks! Today's was equally colourful: tomato, radish, carrot.